A community music program, Loose Tooth works broadly across abilities engaging participants in music making, developing skills with a broad range of instruments from guitar and drums through to percussion. There is opportunity for composition and the development of each musician’s unique creative ability. From time to time, guests musicians spend time with the Teeth, exploring new sounds and ways of playing. 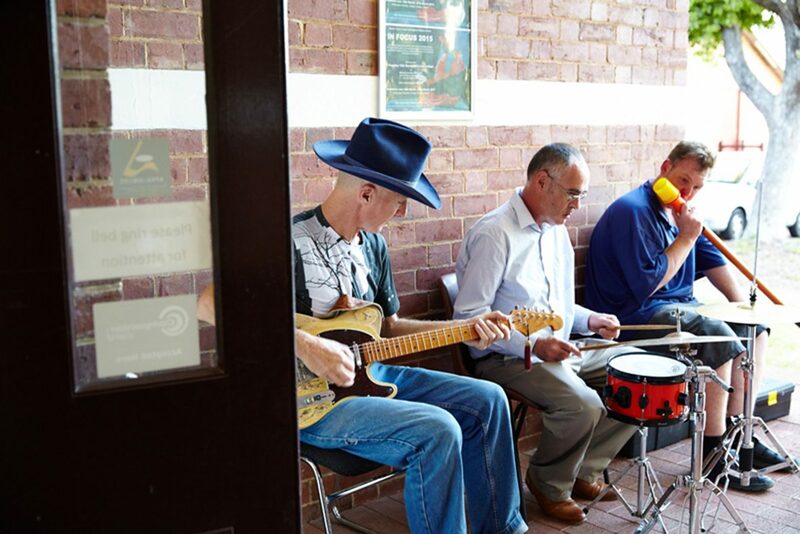 The Teeth rehearse and perform under the guidance of Fremantle musician Peter Flavelle, who has been with the program for more than a decade. Together, Pete and the band experiment with instruments and songs, develop tropes from earlier songs, performing locally and record tracks. Over the past few years, Loose Tooth has developed a partnership with LEVEL in the UK, using Skype sessions to combine dance and music. If you know the workshop you'd like to enrol in, click on the Enrolment button below to complete the Enrolment form. If you'd like more information, simply call the contact name provided for each program.